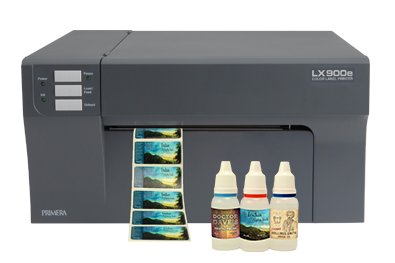 Our customers found the SwiftColor SCL4000D to be most suited and most economic for printing labels for e-cigarette juices. Now with a part number SWIFT-SCL-4000DECIG and as a thankyou and a help to the e-cigarette industry we have a factory supported special reduced price for the machine whilst stocks last. Ink most resistant to e-liquids: In tests at our trade shows and pre-sales demonstrations our customers found that the SwiftColour inks were the most resistant of all to the e-cigarette juices. 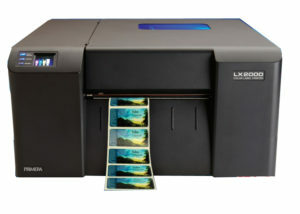 Large ink tanks low cost per label: The large 250 ml ink tanks, one for each colour cyan, magenta, yellow and black of the SCL-4000D provides for full process colour digital printing of labels for bottles and cartons down to an ink cost of a fraction of 1p per each printed label. 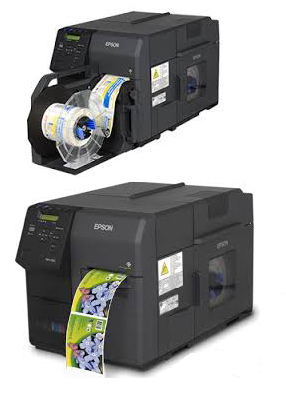 Many thousands of labels can be printed before changing an ink tank. 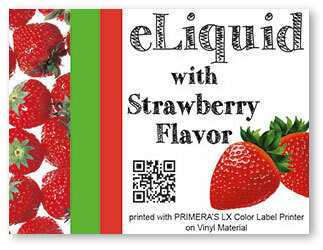 Small labels handled well: The SCL-4000D has a particularly good blank roll infeed and label guide system apt to handle the smaller labels associated with e-cigarette juice labels like 30 x 60 for the tiny 10 ml bottles for example. 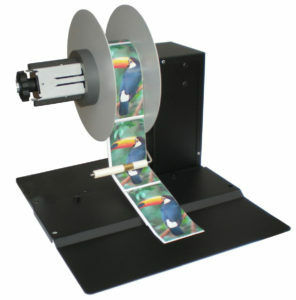 Versatile label finish: Our customers purchase our low cost blank label rolls in the popular gloss paper or the satin and gloss polypropylene for increased label durability. 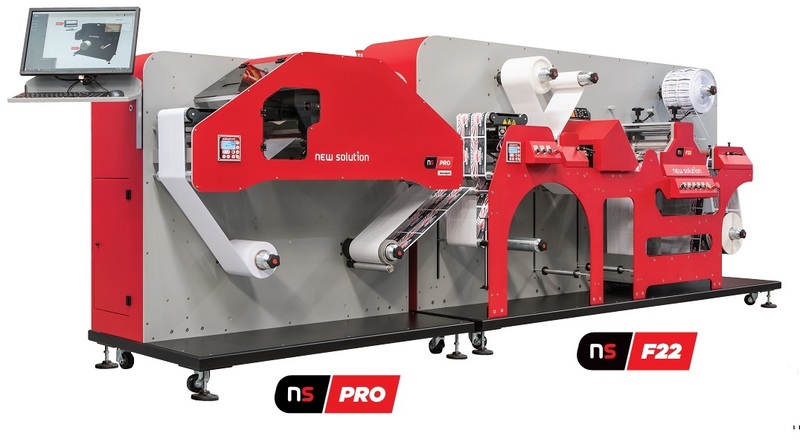 Good for automated applicators: The SCL-4000D has an optional roll re-winder to collect your printed labels to a neat roll for passing to the packers for hand apply or rolls are wound to be passed to an optional automated label apply machine to speed up finished product preparation. Buy a SwiftColor industrial class printer for a limited time by ordering as SWIFT-SCL-4000DECIG at a special price of £3499 * including the 27 month print head warranty. Consider taking advantage of this offer of the SCL-4000DECIG along with a powered winder, automated bottle applicator and professional installation and training on collection from our works and all for a cost of just £4.20 per day on our spread cost payment plan. 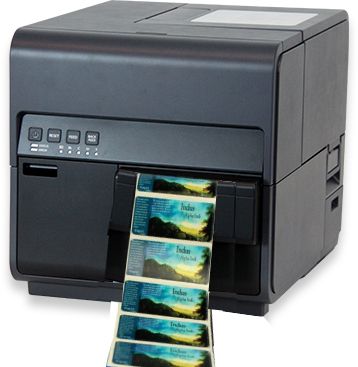 Save money every day by printing your own labels. 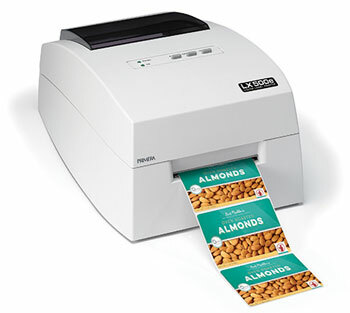 Call us 0044 (0) 1527 529713 or use the CONTACT page to let us know your label sizes for a best price quotation on blank labels and a suitable label printer and perhaps applicator for your needs.